Buono! 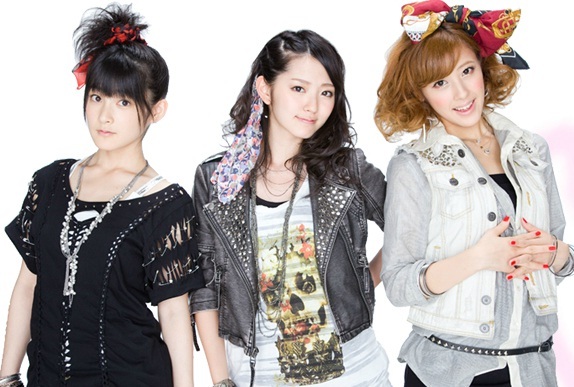 announced through a video message on their official channel that they will be streaming their Rock n’ Buono! 4 concert performance on 28/8 at the Yokohama Blitz live on YouTube. I have to say that I’m really super excited and happy about this announcement since I always enjoy watching Buono! performances and concerts since they usually have amazing chemistry in concerts, they are 3 of the best vocals in H!P and their songs are simply the best alongside having the crowd really pumped up while performing, so I’m sure this will please everyone of their fans. We got to see the setlist released a little while back and I was really impressed by the songs that got picked since apart from the usual rock Buono! songs they almost always perform, we’ll finally get to see the mini-album songs being performed live which should be a good motivator for everyone to tune in and watch the concert on YouTube instead of waiting for the DVD release. Buono! announced this in a very funny way as always since they are all in an elevator showing up one by one introducing themselves then talking all together, and we finally get to see Miyabi’s new haircut that seems really similar to the one she had back in the days of My Boy and Take It Easy!, except that it has a darker color this time, and I’m always impressed by how cute and awesome Buono! make their video messages to fans. Overall, I can’t wait till the streaming is aired on 28/8 since I’m sure that everyone will be more than happy to catch an amazing Buono! performance streamed live, and I hope that this will mean that we’ll get to see more and more H!P groups having their concerts and shows streamed live on YouTube since it’s a very wide video network. Hopefully everyone can check it out and tune in on time since it’s definitely worth waking up early in some cases or staying up late, and hopefully everyone who will watch the concert will get motivated to purchase a copy of the DVD/Blu-ray when they are released to support Buono! The concert will be streamed live on 28/8 at 14:00 (JST). 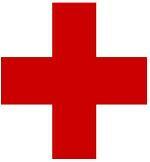 Click here to convert to your own time zone. The setlist for Buono’s Rock’n Buono 4 concert has been released. I’m somewhat disappointed with this setlist since there’s nothing different compared to their previous concerts. I was hoping for some covers of other songs either as solo performances or group performances. Regardless of that though they did include Natsu Dakara and songs from partenza so I’m looking forward to seeing the choreography for those. 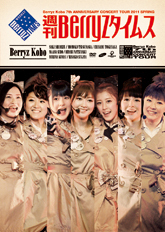 They included a different variety of songs from their previous albums and singles, which was somewhat expected. They included the band too so the fans as well as Buono were probably pumped and overall I’m sure everyone enjoyed themselves. There’s also reports that Miyabi cut her hair, similar to her hairstyle she had in the My boy single. Hopefully pictures of the concert appears soon so other fans can see her new hair and get a feel of what the concert was like. A lot of releases today (about 9) so it will be a somewhat longer post with shorter reviews, but nonetheless fans of Buono, Berryz, S/mileage, and HANGRY&ANGRY will be very happy since today there are many releases from them. According to the official H!P site Buono will attend an event by a cervical cancer awareness project titled HelloSmile Live Fall 2011. The special guest for the event will be: LOVE. Artists appearing at events to raise awareness for a certain disease isn’t unheard of in H!P since there are countless appearances done by members at these kind of events during the past few years, the most recent of them being this one where Buono will appear to raise awareness for cervical cancer, and while it might be somewhat out of the ordinary it’s still a very nice way of showing everyone that they want to help out those with this disease. For now it appears that they will probably perform at this event, although I’m not too sure about the details since there isn’t much on the site but I will update with more once I find out. Tickets for the event are already on sale so I encourage fans who can to go to the event to help support both Buono and those who have this condition. 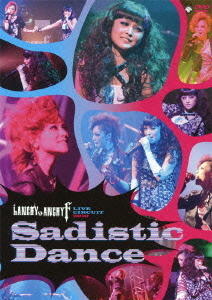 The event will take place on 11/12 at Laforet Museum in Roppongi, Tokyo at 15:00 / 18:30. Previews for 2 songs of Buono!’s first mini-album titled FrankicenseΨ and My alright sky have been released. Since some might not know, this mini-album is set to contain “lead songs” for each girl, meaning that each member will have a song where she is dominant and is the lead vocal in it, and even though it might seem like those songs are solos, the other girls take part in the songs either in the chorus or as back-up vocals. This song is really one of the catchiest songs Buono! has ever released, and I’m really happy that they chose Miya as a lead in it since her voice seems to just fit perfectly with the pop/electro rythm that has many cute echos and voice blendings in it, and Miya’s voice is the best qualified to sing to a similar type of song since she has a very unique pitch and hits all of the correct notes while giving the song a touch of “Miya-ness”. The song overall is really original and is based on electro-pop with many cute backup sound effects and a lot of english words that add to the cutesy and upbeat rythm of the song, and I think that this song is a perfect mix of Buono!’s usual sound and electro, which seems to blend perfectly. Event though this song is kind of hard to describe, it’s really an amazing song that deserves a decent listen since it seems like a very solid mini-album track, and hopefully everyone will enjoy it since it’s pretty catchy and fun to listen to, and an amazing addition to the mini-album with no doubt! Airi’s lead song seems to be the soothing and calm song of the album, with a very unique R&B sound to it and a calm instrumental, and I have to say that I was impressed by Airi’s vocal range in this song since she sang it in a deep voice and hit all of the high notes perfectly just as we are used to from Airi. The song is really calm and made me feel somewhat relaxed while listening to it, probably thanks to Airi’s awesome vocals and voice control, but mostly because of the noticeable backup voice that just blends perfectly in the track; the backup voice is really calm and seems to be someone other than the Buono! 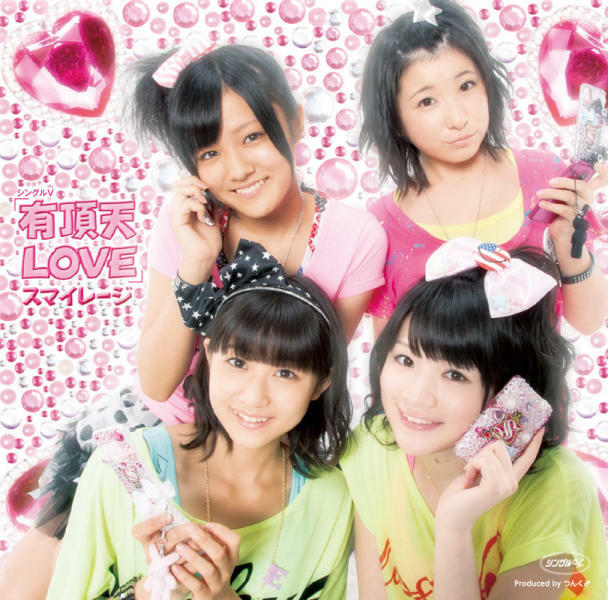 members since there is quite a lot of english being said without any mistakes or accent, and I think that this just adds to the originality and unique side this song has since it’s quite new to see H!P do any R&B style of song. Hopefully everyone can give it a listen and focus on the vocals by both Airi and the backup voice since this is set to be one of the most noticeable songs of the mini-album! Overall, I’m quite impressed with the variety that this mini-album seems to have since apart from the 3 songs that we already know (Natsu DAKARA!, JUICY HE@RT and Zassou no Uta), the previews we got are all unique and very different from the usual Buono! sound. Hopefully these previews will convince any fan to purchase a copy of the album since at 2 days away from the release, it’d be a waste not to support Buono!’s awesome new departure into a unique sound since they prove us once again that they are more than a group who sticks to a particular type of songs, and I highly encourage everyone to do so since it’s one of Buono!’s most amazing releases so far! The release date is set for 8/10. *Momoko’s lead song is said to be Kia Ora Gracias Arigatou, as soon as a preview is released on YouTube, it will be posted. A 5 minute preview of Buono’s “partenza ~Lets Go! !” has been released. A short preview was released earlier on and I believe this is the full preview. From the short preview my opinion of this song was it’s a electro-techno with k-pop, Lady Gaga and rap mixed in. (For anyone who doesn’t know who Lady Gaga is she’s an American singer) The song is quite hard to explain and it’s real different from the Buono we’ve known seen on Shugo Chara, but this is also something completely different from H!P so I’d give it a chance. The song does feature a sort of pattern where they sing in an autotuned/electronic voice and then it moves to rapping. I was never a big fan on the “robo” voices but it really fits for the song since there’s a lot of repetition in the song and the parts where they sing “B-u-o-n-o-let’s-go” is like a robot. Hopefully everyone listens to the full rip, it’s hard to explain the song and it’s real different from anything H!P has done so there’s not much to compare to. I’ve actually never heard any song like this one before so I can’t even give any other song to compare it to! It’s really something new for Buono and I hope it doesn’t backfire on them. 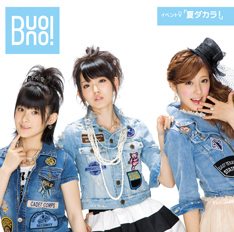 Please support Buono and reserve a copy of their mini album on 8/10. The cover and tracklist for the Event V of Buono!’s 12th single titled Natsu DAKARA! have been released. The cover for the Event V is kind of different from the single’s covers, but has it’s similarities which are the girl’s poses (mostly Momoko and Miyabi which are the same, Airi having a different and almost weird one) and the text and Buono! logo in blue boxes, the only difference being the plain white background that seems really boring compared to the beautiful background of the other covers. Apart from the cover, the tracklist is really interesting since this time, they decided to have 1 shots for each member which is somewhat better than the close-ups since we’ll get to see the PV in each girl wearing her 2 outfits (unlike the close-up version), so hopefully this will make many fans want to purchase a copy since it’s a nice addition instead of the close-ups. Overall, I think this is a great release for all Buono! fans since the tracklist is a little different from the usual close-up Ver. we get to see and it’s complimented by a nice cover. The release date is set for 8/9.